Recently, I had a chance to visit 'Busan citizen park'. The facilities of the park were very modern and amazing. The more I spent time in the park, the more I felt love for the place. So when I returned home, I researched to get some further information about this park. Most of us would think that there is no history of citizen park since it was built this year, barely few months ago. However, you would be surprised to hear that citizen park in fact, has a long interesting history. When you enter citizen park's website, you will be able to read the following sentence; “100 years of waiting, eternal meeting”. What does this mean? There are wheels within wheels. During the era of Japanese colonization, these wheels were used in a racecourse. During World War 2, these were used to support Japan's imperial army. Even after Korea gained its independence, the wheels were used by U.S. armed forces stationed in Korea. Finally, the wheels have returned to its true owner, the citizen of Busan in 2010. In other words, the wheel are like the bandage to Korea's wounded history. The roads of Busan citizen park are suited for jogging and feels comfortable for the feet. This park also have really nice view with fountains and books, which is why pairs of lovers choose here to have a date. 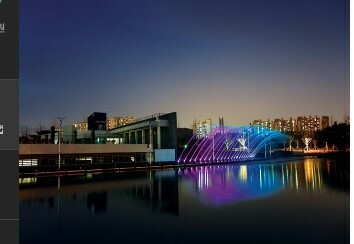 In addition, Busan citizen park provides children's playground and a resting place for families. I have never seen a fountain more beautiful than these before! When the music fountain is on, ten different songs will play in the fountain. Also, there are various shapes that these water could form into such as a heart, tornado, a circle, or waves. 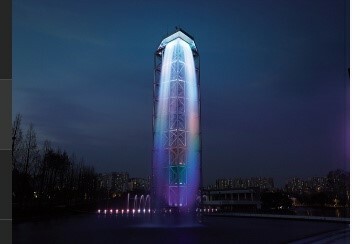 Every night, the rainbow colored fountain gives an exotic atmosphere. Furthermore, there is a sky blue fountain which too is superb. This fountain is especially dazzling at night, so I would recommend you to come and see this at night with the people you love. There are many forests in citizen park. Among them are memory forest and peace forest. Walking through these forests would help you refresh your mind and make you feel healthy.